I'm really not dreaming when I think BabyPom wakes up at all hours of the night to play and jump all over me. Oh, thank goodness, they're not sleeping all day when I'm at work. Behold...my newest informant - Heyrex. Heyrex is my prized secret agent who spies on my BabyPom and JR and watches what they do all day, around the clock. I know when the pups are active, resting, and even when they scratch. Awesome, right? Wouldn't you love to attach one of these to your kids? Just kidding! Heyrex is in fact a monitor that fits to a dog's regular collar, whether it's a regular collar or a harness. 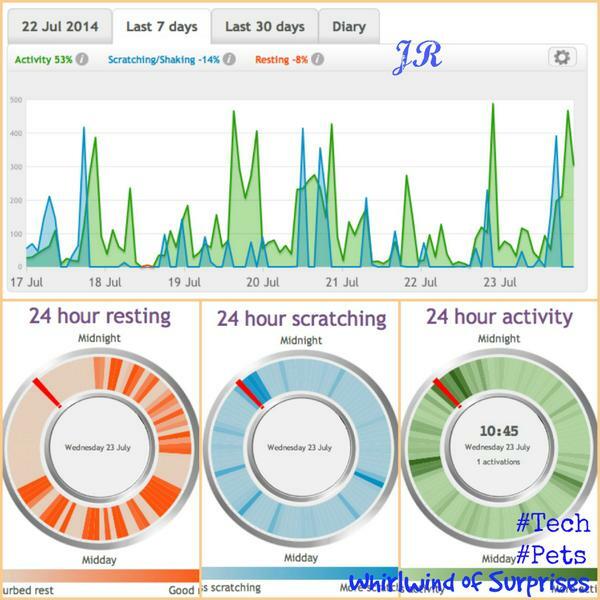 It serves to track your dog(s) behavior. It amazingly records the pups activity and real time, however, the information only gets wirelessly transferred to the Heyrex receiver when the dog comes within range of it. -The Concept: Wow, I'm impressed. I can now track how active the pups are during the day. Yes, they sleep when I'm at work but they don't sleep the whole day away. They are somewhat active during the day. I know when they're less active, sleep more, etc. It's their way of telling me how they've been doing. -Knowing: I love knowing that the pups actually play together. Their activity level times coincide with each other. -Waterproof! I don't need to worry about it getting wet and damaged. -Email updates for atypical behaviors like if they've been extra scratchy or active. These email notifications can be customized. -Distance of transmission: The transmission goes across about 8' which works great during the day. The reason I wish the distance was longer is because the room my pups' stay in during the day is just a little out of range from the receiver. So, as much as I love checking daily, I can't get their information during the day until they get closer to the receiver after I get home from work. -Activity vs Scratching: It sometimes records the pups activities during our walks as scratching. The initial Heyrex Starter Pack is on sale for $149.95 and includes a monitor and receiver. Additional Heyrex monitors will work with the same receiver and are on sale for $89.95 each. I love the freedom of being able to check on the pups' status from work and knowing what they're doing when we're not home. I personally feel this makes it easier for us to track their health and wellbeing. 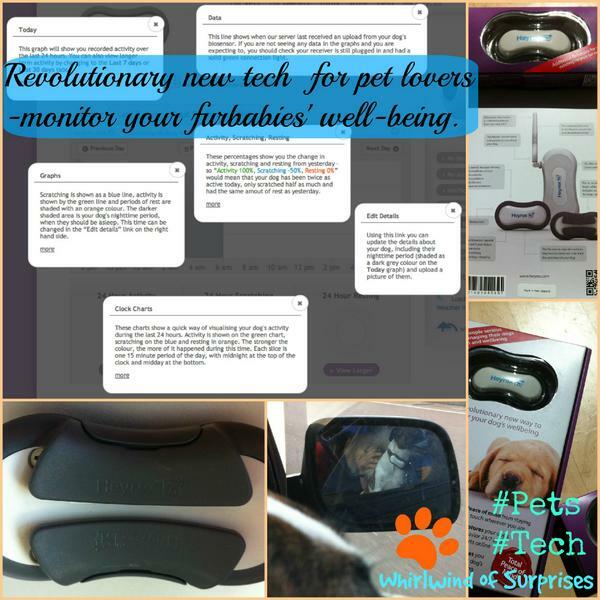 For more cool pet tech, check out our Heyrex Torus review.